As a travel agency, you do your work over the phone. Inbound dialers booking travel need information about all sorts of details about their trip. We think you’ll agree travel agencies need a robust call center software more than anyone. Without a doubt, you will find that Nectar Desk is just that. Nectar Desk’s interactive voice response (IVR) system and automatic call distribution system makes your customer experience easy and productive. Set up your IVR system so that you save time and money for your travel agency. You can also keep record of all calls with Nectar Desk’s computer telephony integration technology. Call monitoring and recording has never been easier. Call detail records can be easily retrieved at any time. 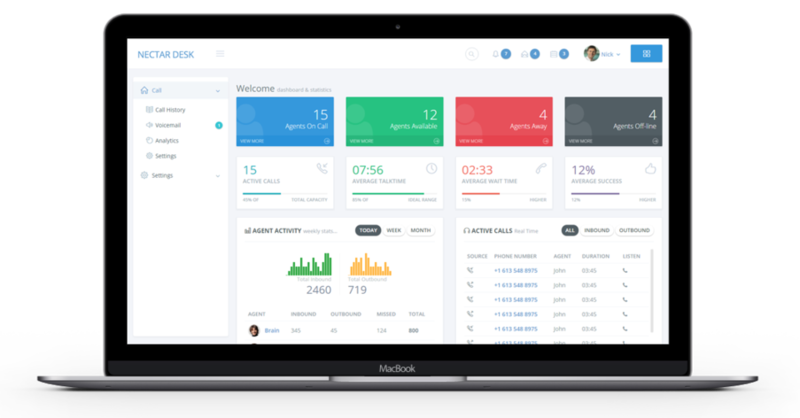 Nectar Desk’s analytics will also give you the data to improve your call center operations. Nectar Desk’s call analytics dashboard gives you the tools to predict peak call times. Your agents will be better prepared to service inbound dialers with travel needs. After using Nectar Desk for your travel agency, you’ll wonder how you ever managed without it. Try Nectar Desk today to make your operations more efficient.